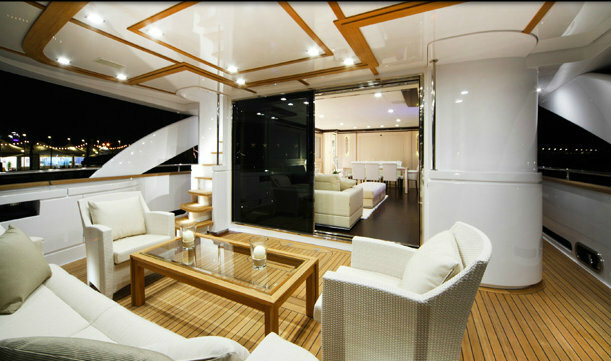 If you have any questions about the Navetta 26 information page below please contact us. Launched in 2010, the 26m motor yacht Navetta 26 is a magnificent eco-friendly vessel, built by the Italian shipyard Filippetti Yachts. The Navetta 26 superyacht is the first model of the green series developed by this well known builder. Filippetti superyacht Navetta 26 can easily sleep up to 8 guests in 4 stunning cabins including a large master suite situated forward on the main deck with fantastic views and a bathroom located on a lower level down a few steps. The remaining 3 cabins comprising 2 doubles and a twin cabin are located on the lower level. There is also a spacious stern garage to store the tenders and toys, leaving the upper deck free for a large sunbathing and dining area. The 26m luxury yacht Navetta 26 is run by twin 715 mHP CAT C12 engines, achieving a cruising speed of 13.5 knots, a top speed of 15.5 knots, and a range of 2,500 nautical miles at the economical speed. 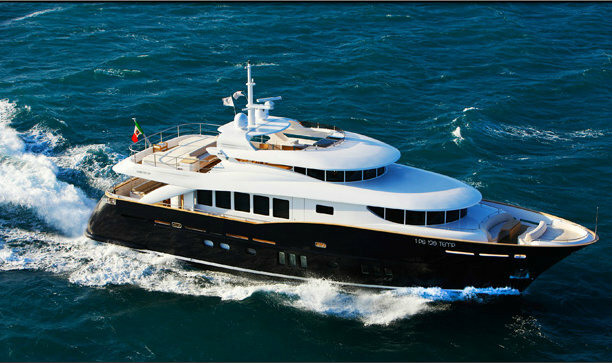 Navetta 26 is certified "GREEN STAR YACHT" by the RINA (Italian Ship Registry). Filippetti luxury yacht Navetta 26 can comfortably accommodate up to 8 guests in 4 beautiful cabins comprising a spacious master suite located forward on the main deck with spectacular views and a bathroom situated on a lower level down a few steps. The remaining 3 cabins including 2 doubles and a twin cabin are located on the lower level. There is also a spacious stern garage to store the tenders and toys, leaving the upper deck free for a large sunbathing and dining area. Filippetti superyacht Navetta 26 offers a spacious stern garage to store the tenders and toys, leaving the upper deck free for a large sunbathing and dining area. 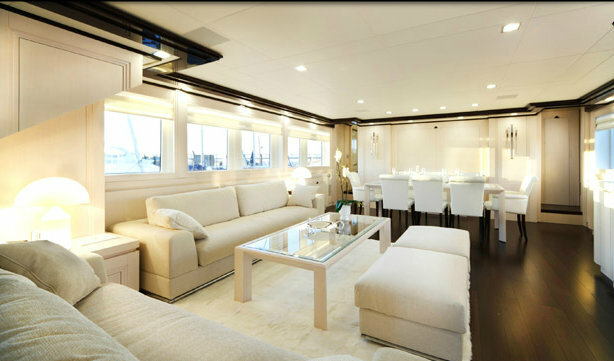 The luxury yacht Navetta 26 displayed on this page is merely informational and she is not necessarily available for yacht charter or for sale, nor is she represented or marketed in anyway by CharterWorld. This web page and the superyacht information contained herein is not contractual. All yacht specifications and informations are displayed in good faith but CharterWorld does not warrant or assume any legal liability or responsibility for the current accuracy, completeness, validity, or usefulness of any superyacht information and/or images displayed. All boat information is subject to change without prior notice and may not be current.